Why the need for the Beachbody Ultimate Reset? According to the Centers for Disease Control, obesity has reached record levels, with more than one-third of U.S. adults (35.7%) and approximately 17% (or 12.5 million) of children and adolescents aged 2—19 years meeting the clinical definition of obese. Many health professionals and other individuals are aware of these near epidemic levels and are encouraging everyone to begin weight control and fitness programs to combat obesity and its related health damaging effects such as high blood pressure and cardiovascular disease. Unfortunately, regular diets and exercise programs are often not enough to cleanse the body of all of the accumulated toxins and effects of stress that actually slow down energy production at the cellular level and damage organs and tissues which ultimately defeat regular diet and exercise programs. Is the Beachbody Ultimate Reset the Solution? After a review of Beachbody Ultimate Reset it has been discovered that this is the perfect product to help your body cleanse itself of years of accumulated toxins and stress and help you to reset your body to an optimal functioning level. According to the Centers for Disease Control, the average American has approximately 219 toxic chemicals stored in his body, primarily in fat cells. 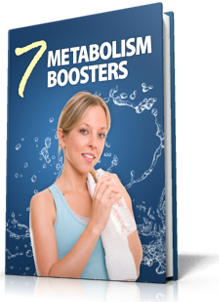 This toxic overload not only causes obesity, diabetes, cancer and heart disease, but it actually sabotages most people’s efforts at fitness and health by damaging metabolism at the cellular level. Beachbody Ultimate Reset is the only product that can help everyone gently and naturally begin to increase their energy levels and feel better so that they can make the most of whatever fitness and diet program that they follow. What is the Beachbody Ultimate Reset Cleanse? Beachbody Ultimate Reset is a 21 day healthy cleansing program that combines the right minerals, vitamins, and other natural ingredients together with a healthy diet plan to help your body naturally rid itself of accumulated toxins and poisons that have been sabotaging your efforts to obtain health. The unique supplements Contained in the Beachbody Ultimate Reset, when combined with its specially designed meal plan, will help nourish and cleanse your body with some of the healthiest nutrients on earth so that you can start your life over with a new and improved, healthy body. While the special nutrients in Beachbody Ultimate Reset do work to help the body gently cleanse itself of its accumulated toxins, it is NOT like the harsh laxatives of other detox programs that leave you confined to your bathroom and actually lead to your body purging itself of beneficial nutrients along with harmful substances. What Kind of Results can I expect from the Beachbody Ultimate Reset? What’s included in the Ultimate Reset Cleanse? Beachbody Ultimate Reset is the only plan on the market that can help everyone, regardless of their physical condition, to begin to heal their body from the inside out. Beachbody Ultimate Reset is more than just a nutritional diet and cleansing program. With the Beachbody Ultimate Reset you will receive specialized supplements to alkalinize, optimize, oxygenate, mineralize, detox and revitalize your body, specialized diet plans, support from your Team Beachbody® Coach, fellow Reset participants, and challenge groups, two educational DVDs to help you reset your health with a thorough overview of the Reset, sample meal-preparation videos, and success stories of people just like you that have used the Reset to reclaim their lives and feel better. You will also receive a special Reset bracelet as a visual reminder of your decision to take charge of your body’s health and performance level and also a convenient Reset Caddy to help you take your supplements with you wherever you go so that you can be assured of having optimal nutrients on hand at all times. Take Action! Order your Beachbody Ultimate Reset Now! Stop letting the years of accumulated toxins in your body keep holding you back from restoring your body to its optimum performance level so that you can make the most out of your fitness efforts. Take charge of your health today and begin the process to reclaim and heal your body. Please click on the secure link to learn more about how you can obtain Beachbody Ultimate Reset and begin to feel better today. Beachbody Ultimate Reset Review and Exclusive Bonuses! Interested in Resetting your Mind and Body with the Ultimate Reset??? Order your Ultimate Reset Cleanse through me, and you’ll get 3 Awesome Bonuses! FREE Coach and Access to unprecedented exclusive UltimateReset.com content. Wearing this natural fiber bracelet will help remind you of the positive decision you’ve made and your commitment to your body’s health. FREE Access to my Facebook Accountability Group. Join my other clients in an exclusive and private Facebook group. Together we’ll find support, motivation, and FUN! Jeff Witt is a Fitness and Nutrition Coach, holds a Bachelor of Science Degree, is a P90X Qualified Fitness Coach and a health and fitness blogger. As a former Couch Potato himself, he inspires others to put down the TV Remove and starting living a healthy and fulfilling life. Is it true that your body can’t cleanse itself of toxins? Id have thought that the ability to be able to do by itself that would be pretty vital to our continued evolution & existence? This is interesting but dont you think that every body has a different requirement of right minerals, vitamins and other nutrients. How can this one course can cleanse everything. I have my serious doubts. Has anybody tried these pills? I have tried it and am very unhappy with the product. My beachbody coach contacted me and told me to not post negatives as it would hurt her financially. Very disappointing. I ended up with major side effects. I’ve done detox diets before, this one needs to be considered as too one size fits all. Hi Michelle. Thanks so much for your feedback. I’m very sorry that the supplements didn’t agree with your system. I have dozens of customers currently doing the Ultimate Reset, and I haven’t heard of any side affects (except those related to the detox process itself.) 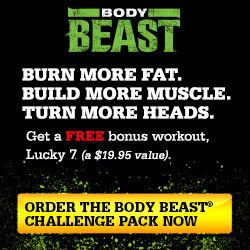 Please remember that Beachbody offers a money back guarantee on everything it sells. If you haven’t already, please contact your coach or Beachbody Customer Service to request your refund. Thanks for the awesome product review I love the product. Question….What if a person is allergic to wheat and dairy products?? Great question Signe! One of the goals of the reset program is to get you off of dairy. I’m sure you can substitute out what little wheat or dairy is in the meal plan. This is probably a ridiculously dumb question that I’m sure I already know the answer to, but here goes anyway: I just prepaid for a consultation with a diet doctor in my area that includes lipotropic injections and phentermine, the prescription diet pill. Would it be defeating the purpose to attempt this cleanse while taking the diet pill? I hate to waste the month that I already paid for, but I believe I could really use this cleanse! Andrea, I would NOT do the cleanse with any other diet program. Please check with your primary physician before stopping your current diet and switching to the Ultimate Reset. We want you to be healthy AND safe! Helps provide supplemental oxygen to the body. Oxygen helps your body detoxify and supports a strong immune system. Oxygenize comes in a convenient dropper bottle. I think I should try this one because I have a problems with my belly.. Thanks for the help..
I’m interested in giving this a try however I have allergies and intolerances to wheat, gluten and soy. I haven’t been able to find anything stating allergens or an ingredient list. Can any body help me? A lot of interesting information. I must say that this cleanse is not the only one that is not a starvation cleanse. I am doing a different cleanse now and I am also doing P90X, so I was looking into the Beachbody version. May I ask, do people work out while doing this cleanse? I heard of a lot of people who lower their activity for the 21 days. Can you clarify? I didn’t see anything on the main website talking about activity levels during the cleanse. No, it is not recommended to workout for the 3 weeks of the Ultimate Reset. The only approved workout program is Phase 1 of the new Tai Cheng program. I love Shakeology , can I take it with the Tropical Strawberry? Tom, The Ultimate Reset CAN be used with the Beachbody Tai Cheng workout program and the Shakeology Tropical. Shakeology Tropical is allowed because it’s Vegan. All other meals and workouts need to follow the Ultimate Reset Guides. I would like to try this. Tell me some more about how your Facebook group will support my results. I am interested. Are there any discount options available? Thanks. Thanks for stopping by Mike. My facebook accountability group is a private group on facebook, just for my clients. We help support each other in reaching our health and fitness goals. There are discount available as well. I’ll email you the details, but Team Beachbody Club Members save 10%, and Team Beachbody Coaches save 25%! I can not wait to try this! Beachbody is exceedingly far ahead of any health and fitness company with superiour standards and practices. Thanks for the kind words about Beachbody, Victoria! I’m honored to be associated with the company. It seems to be a bit expensive compared to other cleanse products. But based on my experience with Beachbody products, it will have the best possible ingredients giving the best possible results. You’re right Greg. I think price is definitely going to be a consideration, but also important to know that you are taking “high quality” ingredients. Maybe it makes sense to pay a little more for that level of quality. We will have to see what some of the results look like. Sounds awesome! I’m going to have to check this out!! You bet Char! There is a lot of buzz about this new cleanse. I’m looking forward to learning some better eating habits. Hm this is interesting… I’ve never heard of a cleanse that doesn’t require laxatives. May need to look into this thing someday! Agreed Cody! This really is a healthy way to “reboot” your mind and body.